Vaughan Towing Service, a tow truck in Vaughan you can trust for your roadside assistance all year long. 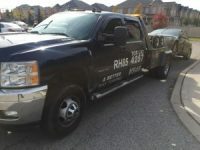 Providing Towing | Roadside assistance service in Richmond Hill and in York Region. Our Ultra Fast Tow Trucks will Arrive between 15 and 30 minutes to assist you with your towing and roadside assistance needs anywhere in Vaughan Richmond Hill and Markham. For all your towing and Roadside assistance needs, we are here for you. When you find your self with a stalled car one the side of the road we send you a Tow Truck to Tow you to a Mechanic or where ever you want to be Towed. If your car doesn’t start and you need a Battery Boost we send you The Help you need to Jump Start car. And if you locked your keys in your car we have the unlock car professionals to open you car door. When you have a flat tire and need a Tire Change Fast, Our Tow Truck Drivers Will rush to help you in Vaughan, Richmond Hill, Markham and Woodbridge or anywhere in York Region. So Call Us, Call Us Now and we will be there for You. Towing Service in Richmond hill is also available. When you looking for a Tow Truck in Richmond Hill Give us a call and have a super fast arrival time of 25-35 minutes any where in Richmond hill or Thornhill. our Roadside assistance Tow truck drivers arrive fast and very friendly. All of our Tow Truck Drivers are licensed by the city they operate from and Work with major insurance companies.